One of the most fascinating things about the technology industry is how the lines between markets and competitors can shift all of a sudden. One day, Nokia is mainly thinking about competing with phone makers like RIM and Motorola on getting influence with carriers and upselling text messaging services / ring tones and, the next, they need to deal with players like Apple and Google, fostering a strong app ecosystem, creating intuitive user experiences, and building a brand that resonates with users. One interesting case that has emerged in the past couple of days is the electric car company Tesla entering the Home and Industrial energy market. In much the same way that software let Apple and Google build operating systems that could double up as phones, the manufacturing prowess and battery technology which let Tesla take on the electric car market also gives them the ability to offer energy storage solutions for the utility market. When I was a VC looking at energy storage opportunities, there was a fair amount of discussion in the industry about the future potential for electric cars connected to the grid to themselves to operate as energy storage / load balancing. I never expected this to amount to much for at least a decade — when the penetration of electric vehicles would be high enough to make sense for utilities to invest in this capability. Never would I have imagined the path to anything even remotely like this would be through an electric car company directly making and offering electric batteries to supply the market. While history will judge whether or not Tesla is successful at this (a lot of unanswered questions around the durability of their Li-ion batteries for utility purposes and how they will be serviced / maintained), you can’t fault Tesla for lack of boldness! This is an old tidbit, but nevertheless a good one that has (somehow) never made it to my blog. I’ve mentioned before the private equity consulting world’s penchant for silly project names, but while code names are not rare in the corporate world, more often than not, the names tend to be unimaginative. NVIDIA’s code names, however, are pure marketing glory. 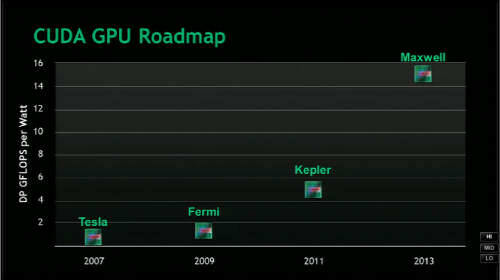 Take NVIDIA’s high performance computing product roadmap (below) – these are products that use the graphics processing capabilities of NVIDIA’s high-end GPUs and turn them into smaller, cheaper, and more power-efficient supercomputing engines which scientists and researchers can use to crunch numbers (check out entries from the Bench Press blog for an idea of what researchers have been able to do with them). 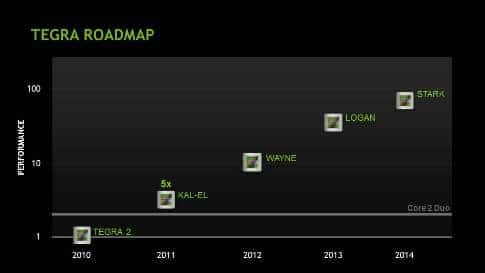 How does NVIDIA describe its future roadmap? It uses the names of famous scientists to describe its technology roadmap: Tesla (the great American electrical engineer who helped bring us AC power), Fermi (“the father of the Atomic Bomb”), Kepler (one of the first astronomers to apply physics to astronomy), and Maxwell (the physicist who helped show that electrical, magnetic, and optical phenomena were all linked). But, what really takes the cake for me are the codenames NVIDIA uses for its smartphone/tablet chips: its Tegra line of products. Instead of scientists, he uses, well, comic book characters (now you know why I love them, right?) :-). For release at the end of this year? Kal-El, or for the uninitiated, that’s the alien name for Superman. After that? Wayne, as in the alter ego for Batman. Then, Logan, as in the name for the X-men Wolverine. And then Stark, as in the alter ego for Iron Man. Everybody wants a little Iron Man in their tablet :-). And, now I know what I’ll name my future secret projects! I’ve blogged before about how the economics of the venture industry affect how venture capitalists evaluate potential investments, the main conclusion of which is that VCs are really only interested in companies that could potentially IPO or sell for at least several hundred million dollars. One variation on that line of logic which I think startups/entrepreneurs oftentimes fail to grasp is that profitability is not the number one goal. Now, don’t get me wrong. The reason for any business to exist is to ultimately make profit. And, all things being equal, investors certainly prefer more profitable companies to less/unprofitable ones. But, the truth of the matter is that things are rarely all equal and, at the end of the day, your venture capital investors aren’t necessarily looking for profit, they are looking for a large outcome. Before I get accused of being supportive of bubble companies (I’m not), let me explain what this seemingly crazy concept means in practice. First of all, short-term profitability can conflict with rapid growth. This will sound counter-intuitive, but its the very premise for venture capital investment. Think about it: Facebook could’ve tried much harder to make a profit in its early years by cutting salaries and not investing in R&D, but that would’ve killed Facebook’s ability to grow quickly. Instead, they raised venture capital and ignored short-term profitability to build out the product and aggressively market. This might seem simplistic, but I oftentimes receive pitches/plans from entrepreneurs who boast that they can achieve profitability quickly or that they don’t need to raise another round of investment because they will be making a profit soon, never giving any thought to what might happen with their growth rate if they ignored profitability for another quarter or year. 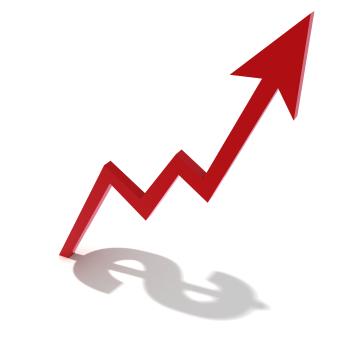 Secondly, the promise of growth and future profitability can drive large outcomes. Pandora, Groupon, Enphase, Tesla, A123, and Solazyme are among some of the hottest venture-backed IPOs in recent memory and do you know what they all also happen to share? They are very unprofitable and, to the best of my knowledge, have not yet had a single profitable year. However, the investment community has strong faith in the ability of these businesses to continue to grow rapidly and, eventually, deliver profitability. Whether or not that faith is well-placed is another question (and I have my doubts on some of the companies on that list), but as these examples illustrate, you don’t necessarily need to be profitable to be able to get a large venture-sized outcome. Of course, it’d be a mistake to take this logic and assume that you never need to achieve or think about profitability. After all, a company that is bleeding cash unnecessarily is not a good company by any definition, regardless of whether or not the person evaluating it is in venture capital. Furthermore, while the public market may forgive Pandora and Groupon’s money-losing, there’s also no guarantee that they will be so forgiving of another company’s or even of Pandora/Groupons a few months from now. But what I am saying is that entrepreneurs need to be more thoughtful when approaching a venture investor with a plan to achieve profitability/stop raising money more quickly, because the goal of that investor is not necessarily short-term profits.